I didn't find out what the cover is, but there are some seriously awesome, old-school Boston punk (Unnatural Axe, The Dogmatics, The FU’s) is going on at The Beachcomber (Quincy) tonight around 10pm. "Weird Exorcism: In The Temple of Love the Demons Dance"
A night of all-out sound. Loud. Dirty. Video. Art. Dancing. Libations. Seance. I've seen listings for a few shows in this space that is a combination of recording studio, art gallery, and performance venue. It looks like all sorts of creativity will be on display. Videos will be projected and Johnny Blazes will perform as well. Some places say "$8 with flyer"? Is this it? I don't know. The Tito Puente Latin Music Series usually does concerts in parks has thrown it's sombrero in with the city's annual Caliente festival. The advantage of City Hall Plaza is the (sorta) flat, (hopefully) solid dance area. Of what I've heard Eugie Castrillo comes closest to the classic Latin timbale-madness of Tito Puente. The headliner will be salsa star Jerry Rivera who has the looks (and talent) to explain whatever popularity he has in the Latin pop world. If you didn't see earlier, I'm not sure if you can still RSVP for the "PBR reception" from 8pm to 9pm, but you could still go for the art, which should make you think, "Hmm, it is a strange world." Maybe go across the street for music afterwards? There's a lot of big indie-pop in a small room. The Grownup Noise is heading out on tour for most of August, and it might be nice to leave on a great hometown show. Things get a little edgy in a good way with the post-punk riffage and dollops of reverb by The Big Disappointments and bluesy garage-rock by Sister Spaceman. I couldn't tell how much I'd like to hear a whole set of noisy rock loops from Ill Ease, but there's something there. I was a Rudds fanatic when they were gigging regularly a couple years ago, so I can't be objective. I dig their power-pop-meets-R&B sound, their musicality, their sense of humor, and the charisma & vocal agility of singer John Powhida. One night at the Abbey Lounge, Super 400 took me by surprise so I always like to spread the word. For a somewhat jammy power-trio from upstate NY, these folks rock it out -- especially the funk-solid rhythm section. Remember how the end credits song in "Donnie Darko" was "Mad World" by Tears for Fears? That's the inspiration for the show theme. I think they're projecting the film during the show. There's a "PBR reception" from 8pm to 9pm, if you RSVP, and your name (and guest) should be enough. If you have the afternoon off and have nothing to do, why not go to the MFA for free? The museum is open until 9:30 on summer Fridays to accommodate some mixing and drinking (cash bar) in the courtyard from 5:30pm to 9:30pm. There's music as well like tonight's Little Bang Quintet who will probably lay down some funky, jazzy, India-flavored jam-rock since it's related to this band. 88 local and visiting poets each get 8 minutes to do their thing over a mind-blowing 23 hours of poetry over three days. I did the math, and it seems like they've allotted plenty of buffer time for transitions, introductions, and the possibility of someone going over the time limit. According to the organizer, he's planning to be there for the whole thing keep the poets in line. The Poet Tea Party changes location on Saturday & Sunday to Outpost 186 (Inman Sq) where it runs from noon to 10pm on both days. Tonight, the classic love story is performed "en Espanol" and English tomorrow. Think of this as a chance to visit a place you usually just drive through without thinking much about it. Take the #111 bus for an adventure in free theatre -- and who knows what else -- on the other side of the Tobin. If my count is correct, "Shakespeare on the Common" is returning for its 15th season. Even if one doesn't make a donation, we shouldn't take for granted what is one of the highlights of free/cheap Boston culture. Take the time to go in the next three weeks. The productions are always well done, and "Othello" is especially one of the Bard's best. As usual, the design has been moved to a different time period. The Commonwealth Shakespeare Company seems to favor the early 20th-century; the set and costumes have a '40s influence. As I mentioned the other day, Seth Gilliam plays the title character. You'll probably recognize him as Sgt. Ellis Carver on "The Wire" or Clayton Hughes on "Oz" among many film & TV appearances. 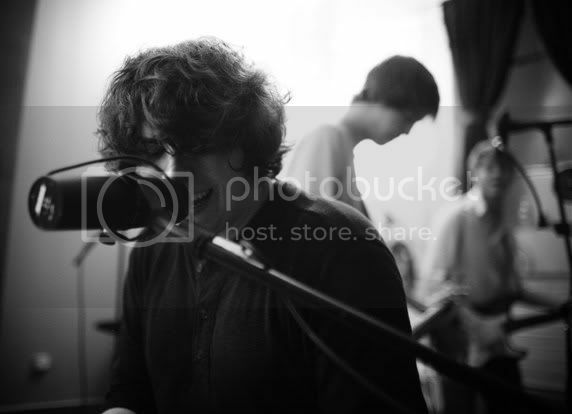 I don't know Joe Coughlin personally, but he's been supporting and writing about the local music scene for a long time. I read that he was quite ill on a discussion board. A bunch of awesome musicians are getting together to help out with whatever expenses Joe needs to take care of. Probably a bunch of solo sets, but some of these folks don't gig a lot. It should be a special night of rock and more. Union Square Round Table: "The Birth of the Cool"
I wish I could tell you more about this gig, but most of my info is from the flyer. It's free, and a string quartet is joining former naval-air-traffic-controller-turned-folky-pop-phenom. Whenever I'm listening to WERS and they play "The One", I want to turn it up really loud and sing along with all the windows rolled down. It's too bad that I don't have a car and am usually listening to radio at the office. String quartets seem like a trend may be forming among singer-songwriters. John Shade has been doing it around town, and I recall seeing others. Maybe string quartets are easier to work with than your average rock band -- even if you probably have to write charts for the classically trained players. Or maybe it's a band called "String Quartet"...? I didn't bring an umbrella today, so I've checked the forecast. The rain should pass before any of the outdoor cheapness begins. How happy will you be when you're enjoying a free fish taco? Eat it and go (no purchase necessary). Or think of it as a $2.49 discount on your meal. I'm not sure I believe that Nini and Ben wrote a song together when they were 16 then they fell in love. It doesn't really matter, because the music is so damn good that any of their tall tales could be a magical retelling of a truth. The music has such spot-on, lush rootsy-rock, and Nini's vocals have soulful subtlety that requires attention to fully appreciate. This is the kind of beautiful and assured music I expected when I heard about Berklee when I was in high school. Guess what? There are more outdoor Thursday concerts, which happens to be the night when you can visit the museum for free. And I'm looking forward to seeing the new Charles LeDray retrospective. July Winedown: "Fall Books Preview"
The folks at the book store don't just look at a catalogue to see what's coming, they go to book expos. They'll pique your interest about new books, and help you impress your literate friends. Add a glass (or two) of wine, and it's a good book night. I missed most of the series of inexpensive sessions at CCAE, yet this one sounds interesting. The moderator of panel discussion is from a website about this topic, and the others are people who think a lot about communication, relationships, and networking. Probably best (if not required) to register ahead of time. Most groups in the Tito Puente Latin Music Series have a really strong Latin influence in their music, if not being a flat-out salsa band or the like. Trombonist William Cepeda has been blending Puerto Rican music into jazz for more than 15 years, and the result is strongly jazzy in character while injecting the "Afro-rican" sounds and rhythms. There are only 3 more performances of Cyrano in alternating languages. Tonight, the classic love story is performed in English three times, and en Espanol on Friday. Dang, there's a lot of bands on this bill. 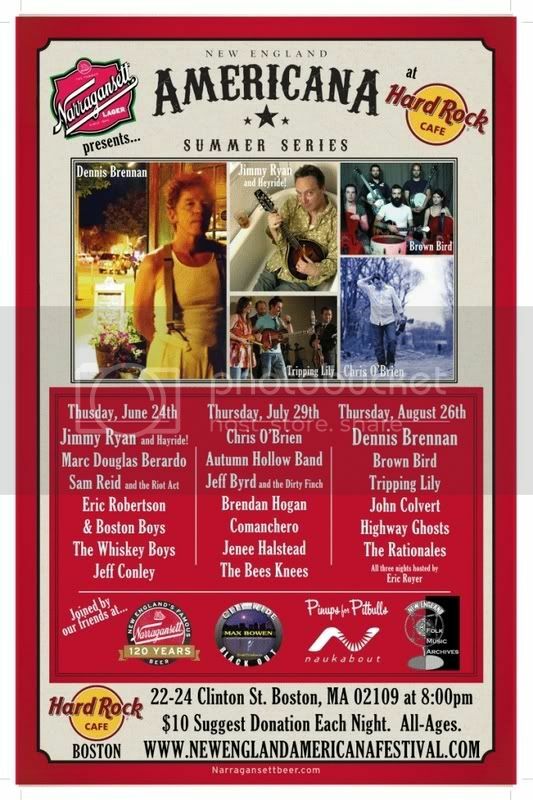 As an outgrowth of the annual New England Americana Festival, this is the second of 3 summer gigs at the Hard Rock. Think of it as a folky/twangy/rockin' sampler of performers that fall into this rather wide category. Unfortunately the timing of the gig is a little confusing. The flyer says 8pm. The Hard Rock's website says 6:30pm, but that's probably when the doors of the room open (and is usually an hour before the music starts. I'm guessing the bands will begin about 7:30/8pm. If you've ever walked around Faneuil Hall, you've probably seen host Eric Royer and his one-man-band apparatus. Maybe he'll whip out the 'guitar machine' tonight. 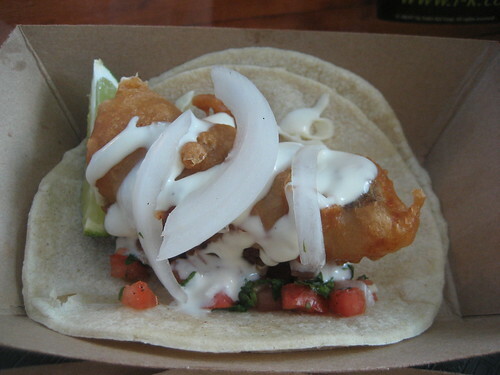 As someone who used to live in Southern California, a good fish taco can be a mini-fiesta in your mouth. You don't even need a free one to turn a frown upside-down. To celebrate their anniversary, Dorado Tacos & Cemitas are offering three different chances to get one on the house. Normally $2.49, maybe you can order another taco or a side for what's basically a two-for-one meal. Or simply enjoy the snack -- no purchase necessary. If you haven't been here yet, you should go when you're hungry for good Mexican-style tacos and sandwiches. If I wrote about events of all prices, I'd tell everyone to get to the Drug Rug/Tuneyards at the MFA tonight. If you're in the Seaport area tonight, be sure to look at the ICA. It's the last of three nights where poetry is being projected on the exterior. I can't imagine someone who paid wouldn't show up to enjoy a cornucopia of guacamole (guacacornucopia?) and a complimentary Patron Citronge Margarita. There are few catastrophes that would prevent me from going to this sold-out event to taste multiple guac's with a margarita in my hand. If you want to try, a "waiting list" option is available. Boston Landmarks Orchestra, "Tosca and the Fifth"
Members of the Boston Lyric Opera joins the Boston Landmarks Orchestra for a night of opera and symphony. On deck is one of Beethoven's big ones -- the disco song that goes "Bom-bom-bom BOMMM" -- and excerpts from a really lovely Puccini opera. Cathy Fuller from All Classical 99.5 will host, so I guess it's special. If it rains (it won't), the concert will take place at New England Conservatory's Jordan Hall. One day, I will experience a real Cape Cod League game in Bourne or Falmouth or Chatham. I hear it's a real slice of friggin' Americana, and many MLB players spent time on the Cape before hitting the big leagues. If you don't want fight the weekend traffic, the league's all-star game is at Fenway, and all tickets seem to be $10. I have a feeling you won't be sitting John Henry's box, but tickets still looked available last night. There are only 4 more performances of Cyrano in alternating languages. Tonight, the classic love story is performed in English three times, and en Espanol on Friday. In last week's Weekly Dig they were talking about wanting to add new material, so who knows what you're going to get. The lineup is full of wild, noisy, angular rock, which bodes for a loud and heavy good time. I try not to list things that I haven't sampled, haven't heard good things about, or just get a gut feeling that it might be interesting. "Shakespeare in the Common" starts tomorrow. This year's production is "Othello", and the lead will be played by Seth Gilliam who would be recognizable to fans of "The Wire" and "Oz". I should have posted about it earlier, but you may want to try the "waiting list" option for Wednesday's Guacaholics Anonymous ($10) at the Fenway Cantina. I also wanted to give you a heads-up that Dorado Tacos & Cemitas has a taco giveaway planned for Thursday [Facebook]. If you follow the signs and the crowd, you shouldn't have much trouble finding the music. Singer-songmeister Glenn Yoder of alt-country rockers Cassavettes did a solo album a couple years ago, because he had too many darn songs that were quite right for the band. I don't notice a lot of solo gigs, but I guess it might be time to let the songs out. Also playing after Yoder & Merry Band is the Beware The Dangers Of A Ghost Scorpion!, a horror-surf instrumental band that BBC says includes members of Cassavettes. The late show is singer-songwriter Chuck E. Costa from Connecticut who has made waves at folk festivals across the country and was featured on a Starbucks sampler a couple years ago where the NY Times had some goods words to say. This documentary about DIY record label, K Records, includes interviews with the founders (who worked with some of the coolest bands of the '80s and '90's) as well as many artists and contemporaries from their first two decades. And they've continued to champion punk and rock over the last 10 years. Besides appearances by Ian MacKaye, Dean Wareham and others, there are clips of Fugazi, Beat Happening, Mecca Normal, etc. Yeah, tonight's list is mainly quiet stuff in Cambridge. As I told a 4-year-old who was giving a the "why, why, why" treatment, that's just the way it is. Based on Sebastian Junger's book, the first part is Hollywood version of fishermen's life in Gloucester before getting pummeled by the convergence of 3 storms. I remember liking it and thinking most of the cast didn't sound embarrassing.I wonder if effects from 2000 will seem quaint by today's standard. Every month, people get together for some drinks and skeptical conversation that usually includes a presentation from a guest speaker hosted by Liz Gaston. You may be skeptical, but the food isn't bad here. NerdNite: "Illusions and Video Games"
There's no need to stop thinking while drinking because it's summertime. Both topics won't tax the noodle too much while you're destroying brain cells. Hearing about videogames and optical illusions could already be bar topics in your repertoire, so here's a chance to listen to a couple people who know what they're talking about. "Joystick Soldiers: Fifty Years of Videogames and War"
"Crazy Vision: The Science Behind Popular Optical Illusions"
Get your "nerd on" with tunes courtesy of DJ Claude Money. Take a listen to some acoustic music that land on opposite sides of the brightness scale. 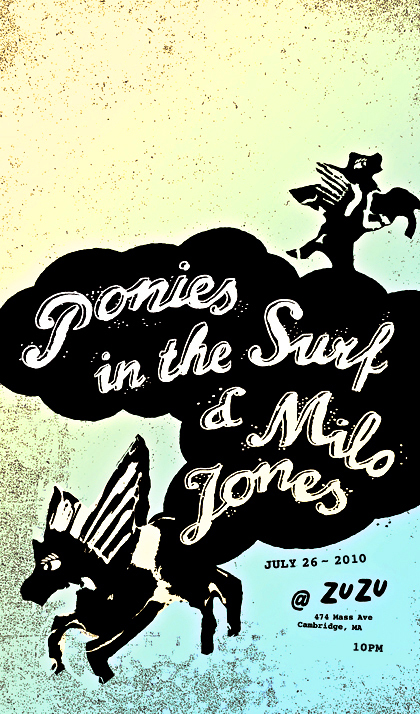 Ponies in the Surf are a brother-sister team that seem to specialize in gentle, dreamy confections. They made the top 5 on PopMatters' list of "Best Indie Pop of 2008", so that's kinda cool. I like Milo Jones' deep, rough voice as he usually spins dark tales that offer plenty to listen to -- good pessimism in the background for a drinking session. There's also games and music in the afternoon at City Hall Plaza [Facebook], a pancake film festival in Cambridge, and other good stuff too. I wonder if all of Passion Pit will be there or the DJ guys. Bad Rabbits would make it a party by themselves. Add free beer and food, and why wouldn't you go? You barely need to leave (or enter) the Green Street T Station to see an exhibit of video and animation at the Axiom Gallery called "REFRESH". The opening reception is tonight. A summer outdoor movie could be nice. "Comin' Home To Indiana: The Music of the ishmaeLites"
A musical play about 19th-century American wanderers in the Midwest. Wow! I almost want to get married, so this band could play the reception. It's very close to The Gravel Pit with Mike Viola! I think it's really a showcase for prospective clients at the beginning followed by a real show later. A damn good hip-hop show. A damn good funky/punky party with burlesque in between bands. The core of Pinchback Blues is piano and guitar playing the more sophisticated blues originating from the '20s and '30s that back the sultry vocals of Minden Jones who nails the classic tone without falling into an impersonation. On Thursdays in summer, music on the waterfront is free. Admission to the museum is free on any Thursday evening. Supertonic: "Boston Does It Best"
Members from Bodega Girls, The Wandas, Gentlemen Hall, Leisure are going to take turns as the DJ's while The Dirty Dishes will play a live set of shoegazey rock goodness. They've got some really nice stuff going on! You will want to get there early (before 9:15pm), because the party hosts, DJ's, and band will practically fill the place -- and free beer doesn't last long. And RSVP doesn't guarantee entry, but you don't have to pay. Bad news: I've received word that I Pistol refuses to share the stage with a Timberlake tribute band. This show is a bit of a mixed bag, but I prefer the party can of assorted nuts if it's the same price as a jar of peanuts. My favorite nut in this can is I Pistol who churn out the hooky rock like crunchy, powerpopping cashews. Red Summer Sun is on a similar yet slicker pop path, and they bugged me especially when they were called Quarterlifecrisis -- so they're like those bigger nuts that seem to have a similar flesh as the cashew but doesn't taste as good. Who put honey-roasted peanuts in the bowl? They don't need the sweet coating, but I'll eat them anyway. Yeah, I didn't ask for a Justin Timberlake tribute band, but I'm amused by the idea. I have to assume Jamie Kent & the Options are opening, because they do the kind of acoustic-based pop that one might hear from laid-back guys on the radio. I think that little round one is a hazelnut, and it doesn't taste bad at all -- except there are other kinds of nuts you would've preferred. 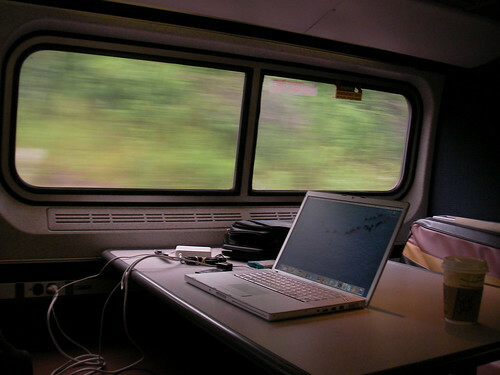 Does the Downeaster have wifi? It looks like it. As I mentioned over the weekend, there's a free outdoor production of "Cyrano de Bergerac" in a Chelsea harborside park from Wednesday to Sunday through SAT 7/31. They alternate performances in English and Spanish, and tonight is in English. Someone sent me a link to a Daily Beast article that lists Boston in the top 5 of gayest cities in the US. I was surprised to see that Portland has a higher gay index! I only know a few people in Portland, but I didn't really get that vibe (except for the high ratio of nice restaurants in Old Port). As the UCLA demographer who compiled the list says, "Gay people live everywhere." Rock Shop #5: "CMJ Marathon Info Session"
Thinking about going to CMJ Marathon? Bands still have a week to apply, and attendees will have to pay more after 7/28. Not exactly cheap at $425 ($245 student) -- or maybe it is? Steve Theo from Pirate Promotions is moderating tonight's session to answer questions that are mainly geared towards the aspiring musician, but anyone can go. Did you go to A.R.T. 's production of "Sleep No More"? It was an experimental version of "Macbeth" where you walked around an old school building in Brookline and saw the performance in a non-linear sequence. The jazz-age vibe included a functional bar with a jazz band playing standards under assumed names (6 nights a week for 5 months). 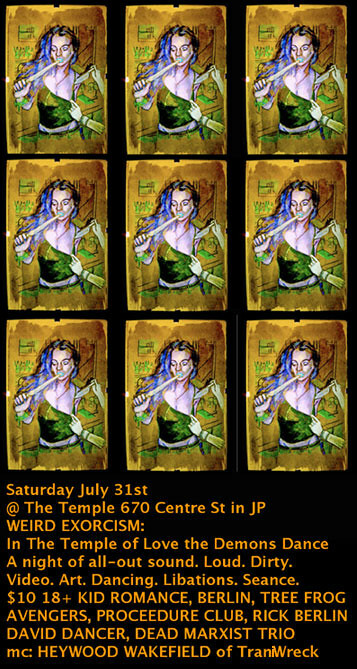 Annie Darcy is a character's name who is still living on as a band who has played at Oberon at least once before. It should be a cool environment to hear a piano trio fronted by two vocalists. It's understandable to have mixed feelings about many aspects of Michael Jackson's life and death. I find it indisputable that he was a consummate entertainer with a catalog that's full of awesome pop songs. He didn't do it by himself, but Jackson was the name above the various skin tones and nose shapes. It's not his birthday or the anniversary of his death. The folks at Soulkore just like to organize a night celebrate the music of MJ and his whole family. (I assume they won't play many Latoya jams...) Dig out the sequined glove and zippered jacket. There's a soccer friendly match at Fenway tonight, and I'm guessing that fans of the Scottish and Portuguese teams may not be looking for experimental rock afterwards. The funny thing is that both performers have an international flair in their sounds. I'm not sure if there are German musical themes inherent in krautrock or if bands like Faust and Can just successfully imparted Teutonic expressions in their recordings. The largish Somerville band Concord Ballet Orchestra Players has some of that influence in their improvised, instrumental music. While the format might be a turn-off for some, I was digging the "heads" on the tunes I listened to. Some groups might fall into boring wankery, and my gut says that's not the case with CBOP. Lenka Chludova aka Lenkadu emigrated from the Czech Republic and seems to be an artist who works in sound and video. Who knows how much visual presentation will be part of the performance. I'm guessing fans of Bjork might be interested in checking her out. Is it bad that I'm already yearning for the weekend? Hey, if you didn't go to the Sand Sculpting Festival at Revere Beach over the weekend, the sculptures may last for another week or so. People mixing social justice issues with casual frisbee fun. I guess this is how activists decompress? They say, "Newcomers always welcomed," so you know where some folks are hang out in the Common. If you don't like electric, slide-guitar Delta-blues (e.g. R.L. Burnside and most of the guys on Fat Possum Records), you may want to pass on this show. You may not be able to handle 2 hours of bluesy one-man band grooves. People will sit on his knees while he's working the percussion with his feet. Who knows what other antics may occur. I have a feeling that they won't get him to stop by 9pm. Tom Waits said, "It's just the loudest strangest stuff you’ve ever heard. You don’t understand one word he’s saying. I like people who glue macaroni on to a piece of cardboard and paint it gold." Opening is Molly Gene One Whoaman Band, a woman (or whoaman) who's obviously been influenced by Bob; and she adds a harmonica to her one-man-band approach. I've seen clips from these un-aired TV pilots, and they're really hilarious. Some of the funniest names in show business wrote, directed, and/or starred in these shows that were usually too bizarre to ever find a network to take a risk. Of course, they're better than most of the shows that get the green light -- at least in small doses. I don't know how the experience is enhanced by comedian Beth Lapides, who is very funny, and perhaps others introducing the longer videos than (legally) seen online as well as giving the back stories. However you may really want to get as much of the secret works of Judd Apatow, Ben Stiller, Conan O'Brien, Robert Smigel, Bob Odenkirk, Jack Black, Owen Wilson, Amy Poehler, etc. Overall, this is a bit more mainstream than other gigs, but this is a decent cheap music option. I think the young, Chicago-based brothers of Filligar attend Dartmouth, so they must be on the summer break tour in support of their 5th CD in 6 years. Imagine if teen-idols could rock out and it wouldn't annoy you (or maybe it does, give 'em a listen). The other bands are generally straightforward pop/rock with some funkiness here and some folkiness there. Have the people who scoffed at Climate Change in the winter changed their minds after weeks of sweltering heat? The basement of the BPL is a tranquil, cool on any hot day in Copley Square. I'm strangely fond of the funny library basement smell, but it doesn't take long to get accustomed. 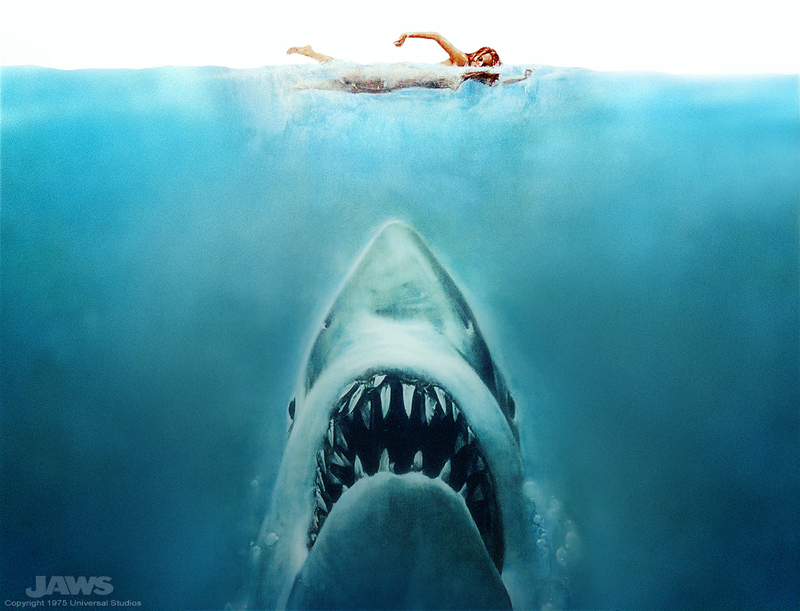 We'rein the nautical phase of their "Made in Mass" film series, and it had to include one of Steven Spielberg's best films. Don't tell me you don't love Robert Shaw as the salty dog, Quint! "We're gonna need a bigger boat..."
Kudos to Amy McCoy for writing about eating well without spending a lot of money. Her blog -- and now her cookbook -- is filled with recipes (for 4) that are both tasty and thrifty. The White Owls are killer blues squad that has Dennis Brennan ripping through classic tunes with yet another set of top-notch players. It's one of the benefits of living in the area: the amazing Brennan often plays with various outfits usually for free or a small cover. Those who go will hear the blues played head and shoulders above other bar bands. Jen Kearney & The Lost Onion keep the place jumping for the rest of the night with some solid soul/funk with Latin accents. I still haven't seen this yet with my own eyes and ears, but I suspect it's more fun than the usual karaoke night. If you have the guts, you could win one of the prizes. I saw this when Dex Romweber was in town not too long ago. If you didn't catch them, don't blame me. Tons and tons of sand are brought in for about 10 master sand-sculptors to work their magic (and are competing) with the theme of "Grimms Fairy Tales". If you're going to the beach, you might as well check out their efforts. This is just a happy, friendly time. People want to wash your bike for free out of the goodness of their hearts. Thanks to Liz W and her friends for contributing positive energy to the world. If you want to join the washers, you can do that too… "Bring your bike, bring a sponge, or bring both." 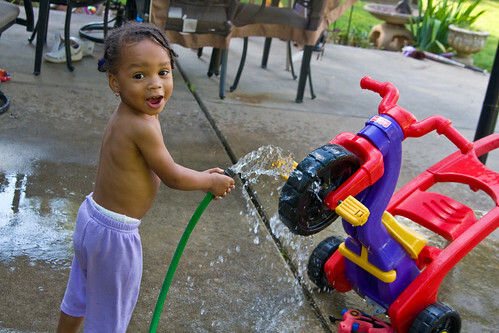 Why not not have some wet summer fun? The schedule doesn't have the time, but the greased pole contest probably starts around 2pm at O'Day Park. You wouldn't think that a bunch of guys clamoring over a big greasy pole in the South End could be eventful, but it is exciting to watch... You'll cheer, you'll groan, and you'll be amazed people will get that dirty. The food and music are close by. Y'know... It's hard to find out more info about the Gospel Fest besides the controversial headliner Donnie McClurkin. Gospel fans and LGBT advocates unite! The synthy indie-rock of Chicago's Kid Savant has got more of a dance thing going on. The two early bands are progressive hard-rock/metal bands to make things confusing. I'm glad I'm not completely swayed by positive press blurbs. Suckers has collected accolades from Rolling Stone, Pitchfork, "All Songs Considered", Interview Magazine, Time Out NY, and more -- yet they sound like some strange pop to me. You might like them. I like the spunky indie-pop of You Can Be A Wesley. Sean Bones does his punker-turned-reggae, which ain't bad at all. Want to do something cheap tonight? Think of this as a chance to visit a place you usually just drive through without thinking much about it. Tonight, the classic love story is performed in English, and tomorrow in Espanol. There more chances through SAT 7/31 to enjoy it in either language. Take the #111 bus for an adventure in free theatre -- and who knows what else -- on the other side of the Tobin. I don't care if Kingsley Flood doesn't like the "alt-country" tag, they do rock out in a rootsy vein that's pretty darn comfortable in the "Americana" neighborhood. I wrote a CD review for Bostonist, and I like their stuff; it's full rock through a more acoustic filter. Once I got past the fake Alabama town shtick from this Brooklyn band (okay, some of the group is from Mobile), I heard some amazing folky rock and great songwriting. I don't see them playing Boston often, so this is a rare local chance to hear their stuff in person. Science and That Old Feelin' have different takes on the rootsy/bluesy approach, and both sound pretty good to me. On one of the few nights I went to a dance club, it was downstairs at Good Life. The regular DJ's Tommee and Knife will be there. The legendary hip-hop producer and performer Prince Paul is going to do a DJ set. It'll probably be a late set, but I personally would feel a bit cooler being in the same room as the man.